In 2008 a poll found EastEnders’ to be the most recognisable piece of music in Britain, beating all other soap themes as well as the national anthem. Is there any point in talking about this theme at all? You all know it, you all love it, its been parodied countless times; it’s a truly iconic piece of music. Actually, analysing the EastEnders’ theme made me realise that it’s a lot smarter than I otherwise thought. The opening drumbeat grabs your attention in a similar way to a busy London street, the piano that runs throughout gives the impression of an old East end singalong, there’s even some Indian guitar in there to symbolise the multicultural element of London. It’s as solid and effective as it is recognisable, a real classic piece of music. This is probably one of the two better known versions of the EastEnders’ theme. With lyrics supplied by Oscar winning lyricist Don Black and sung by Angie Watt’s actress Anita Dobson, one would expect 1986’s ‘Anyone can fall in Love’, to be a genuinely excellent song. After all, Black is an Oscar winning composer who frequently collaborated with the haunted remains of a half-melted waxwork dummy we call Andrew Lloyd Webber, and co-wrote three Bond songs, and Dobson played one of the most iconic characters in EastEnders’ history and in 1986 was easily one of the show’s most popular stars; what could possibly go wrong? Well, I’m sorry to disappoint you, but ACFIL is not a very good song. The lyrics aren’t anything special and Anita Dobson’s voice is just bizarre; almost childish. It’s easy to see how a song like this came about. EastEnders was at the height of its popularity in 1986 so it was guaranteed to do fairly well, Anita Dobson likely saw it as a great way to launch a proper singing career, and Don Black probably looked at it as an easy way to make money, generate publicity, and give himself a challenge. In fairness, it is interesting to see the best attempt at putting lyrics to the EastEnders’ theme, and trust me, this is likely the best we’ll get. I may not care for this song, but it remains very popular among many EastEnders’ fans, and upon release, reached number 4 in the charts. What? You’ve never heard of the hymn version of the EastEnders’ theme? Well, don’t feel too bad because, if I’m honest, I only found out about it when researching this post. I have no idea what to make of this. What on Earth made anyone think this was a good idea, it’s obviously terrible. The EastEnders’ theme is a bad fit for a hymn because musically, there’s too much going on; yes, hymns come in a wide variety but can you really imagine a congregation singing this on a Sunday morning? I’d wager this is an attempt to cash in on the popularity of EastEnders, to drag the Church of England into the modern age and get those young people into the pews. Then again, maybe it was just another experiment, maybe this was done purely to see if it could be done. Whatever dark forces lay behind the EastEnders’ hymn, it remains a bizarre chapter in the theme’s history. Julia’s theme is the one everyone knows. Named for EastEnders’ creator Julia Smith, the theme has been used almost 70 times since 1885 to play over the end of episodes with a distinct emotional tone. These usages vary, from simple heartfelt moments like Arthur Fowler (Bill Treacher) returning from prison and reuniting with his family in 1987, to sadder moments such as the scattering of Tiffany Mitchell’s (Martine McCutcheon) ashes in 1999, to downright tragic moments like the death of Nana Moon (Hilda Braid) in 2005. Julia’s theme has become a really popular piece of music in recent years, with fans adding it to the end of poignant moments in other shows; with other soaps being common choices. Honestly, I really love Julia’s theme. It’s a really beautiful theme that manages to be tragic, hopeful, wistful, and nostalgic all in one. Definitely one of the best iterations of the EastEnders’ theme. There’s a great deal of controversy around this theme. Nobody seems quite sure whether this is the 1998 Kathy’s theme, or the 1993 Jazz theme which was never used. As far as I can work out, this is the jazz version but was put on the ending credits of the episode in which Kathy Beale (Gillian Taylforth) leaves. It’s a really confusing history and, honestly, I haven’t got a clue. Regardless of where this theme comes from; I love it. It’s strange and doesn’t fit the tone of the show whatsoever, but I love it. It’s totally unique, jazzy, and fun to listen to, it’s a personal favourite. Another lyrical version that I had no idea existed, Sharon Benson’s ‘I’ll Always Believe in You’ is basically the exact opposite of ‘Anyone Can Fall in Love’. If I’m honest, I think Benson is easily a better singer than Dobson, and I certainly prefer IABIN to ACFIL, but I do have some issues. I don’t know why, but with ACFIL the EastEnders’ theme somehow doesn’t stand out nearly as much as the jazz theme does here. I suspect this is entirely down to the fact that the jazz theme has a lot more character to it than the normal EastEnders’ theme; it stands out like a sore thumb and is genuinely distracting at times. It’s a shame really, because I’m one of the few who not only thinks IABIY is better than ACFIL, but I actually prefer it. Yet another character theme, Peggy’s theme was first used in 2010, when Barbara Windsor decided to leave the soap, and used again in 2016, when the character died. Peggy’s theme is another great piece of music. It’s a lot slower than Julia’s theme but retains its poignancy and nostalgic feel. It feels like the end of an area, and while I’m no far of Barbara Windsor’s acting, I’m the first to say that Peggy Mitchell deserved nothing less. If I have only complaint it’s that, while I think Peggy’s theme is a lovely piece of music, it might be just a bit too similar to Julia’s theme, lacking its own identity but also failing to possess the versatility of Julia’s theme. Introduced in 2011 to mark the death of Pat Butcher (Pam St Clements), Pat’s theme is a decidedly sombre version of Julia’s theme. I’ll admit, I had mixed feelings about this theme the first few times I heard it. It’s shorter than the other character themes and is very different in tone. Now, however, I have to say I am completely won over. Numbing, sombre, and lacking any of the emotion of other character themes; Pat’s theme feels like grief. It even cuts off fairly abruptly, as if to mimic the actual moment some dies, and the vastly different tone the who thing compared to Julia or Peggy’s theme works to grab your attention. I really like Pat’s theme, it’s a wonderful send off to a wonderful character. So, there you have it. Eight variations on the most recognisable piece of music in the country. How many were you aware of? Which is your favourite? Are there any I missed? Feel free to let me know in the comments. I can’t help but wonder what the next theme variation will be, perhaps we’ll have another song version, but I think the most likely addition will be another character theme with the death or departure of Dot Cotton (June Brown) after all, she’s been a major character since the show’s beginning and has become a truly iconic part of the show. 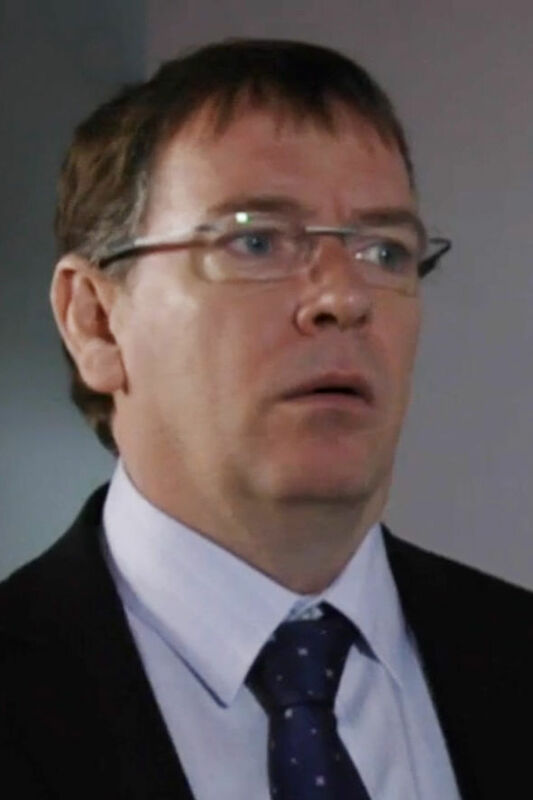 Who knows though, maybe we’ll get a different character theme; Phil’s theme, Sharon’s theme, maybe even an Ian Beale theme.